What is unique to riding in Iceland? 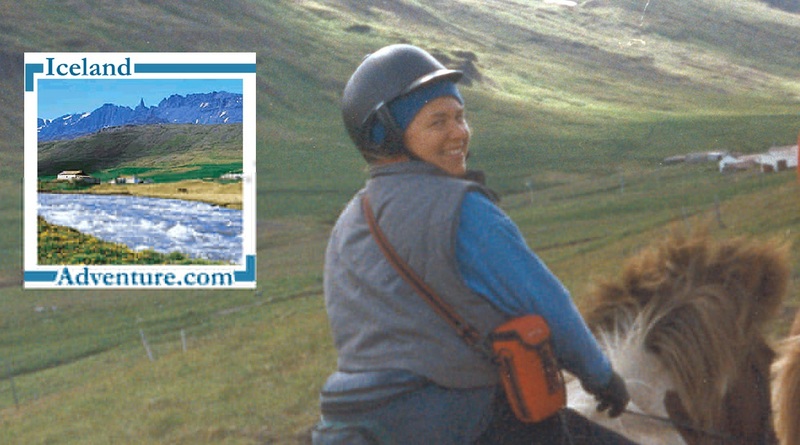 Holly took our first group riding in Iceland in 1995. If you're looking for other ways to explore Iceland (without horses, that is) you can still use our experience and expertise. Check out the Iceland Adventure website to see some of the many possibilities. .All of our tours (except for the shortest tours) include airfare but we can also give you prices without air. If you are one of those people who think of the Vikings and their ships and haven't given a thought to the Vikings and their horses - please read on..
Over the years we've talked to lots of riders, travelers, tour outfitters and bon vivants. We've hand-picked breeders, trainers and farmers whose high standards in horses, leadership, and food impressed us. And - whose enjoyment in what they're doing goes a long way toward making a great tour. We've selected the kind of tours we want to go on ourselves. We've chosen outfitters who know the horses they use for trekking very well, and are good at matching them to the riders abilities. They enjoy leading groups through the mountains and valleys of their homelands, and expect to end the day's riding seated before a great meal. If you're looking closely at prices please look closely at just what is included in a tour. Many of our tours include an extra night or a hotel upgrade, and almost all include air to Iceland and ground transfers (tours starting from Akureyri in the north usually include air to Akureyri). We have set up our business to offer service and value to our clients.